Condemning the decision, the BJP, the main opposition party in the state, Tuesday created an uproar in Chhattisgarh Legislative Assembly. The new Congress government in Chhattisgarh has renamed five schemes that the previous BJP government had named after Jan Sangh leader Pandit Deendayal Upadhyaya. Condemning the decision, the BJP, the main opposition party in the state, Tuesday created an uproar in Chhattisgarh Legislative Assembly over rechristening the schemes, terming the move as "political vindictiveness". BR Ambedkar Sarvasamaj Manglik Bhavan Yojna, and Pandit Deendayal Upadhyaya LED Path Prakash Yojna has been renamed Indira Priyadarshini LED Path Prakash Yojna. BJP Legislators led by Leader of Opposition Dharamlal Kaushik Tuesday raised the issue in the House, saying the move was "not only an insult to a great personality but also an initiative to kill the very ideology" on which their party is based. BJP MLA Ajay Chandrakar said the renaming move is not good for democracy. Urban Administration Minister Shiv Kumar Dahariya responded by saying that in 2004, such a practice was started by the then BJP government. 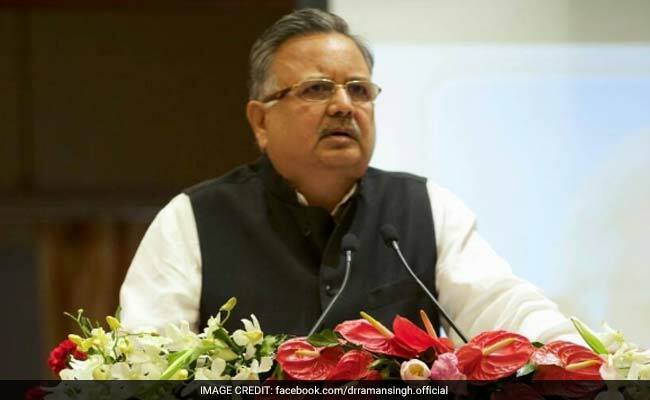 Former chief minister and senior BJP leader Raman Singh said the rechristening exercise indicated the Congress regime's "political vindictiveness". "The state government deliberately rechristened schemes named after Pandit Deendayal Upadhyaya on his death anniversary, which was observed on Monday. This reflects the mentality of Congress," Singh said in a statement here. "Without making any new provisions, they have just renamed the schemes. This clearly indicates that it is a new episode of ''Badlapur'' (vindictive politics)," Mr Singh said.